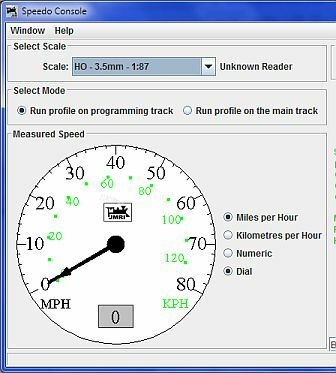 JMRI supports the Bachrus MTS-DCC Model train Speedometer, which is an input only device, to capture speed information from a reader module on a Bachrus "Saddle" running stand. 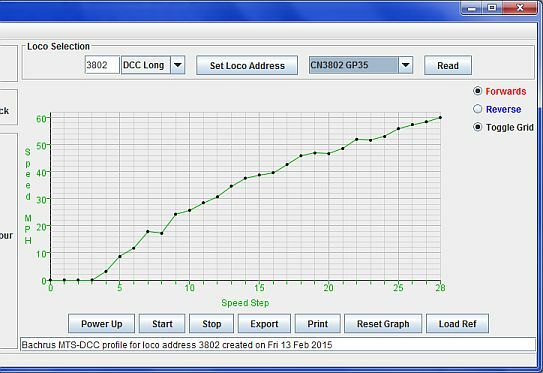 When the Bachrus MTS-DCC is set as a JMRI Layout Connection Preference, the Speedo Console tool can be used to display scale running speed for any scale from Z to O and beyond. When the Bachrus MTS-DCC is set as a layout connection alongside a DCC hardware system the speedo utility allows automated measurement of a DCC decoder equipped loco's speed profile. More information on the Bachrus Speedometer products on the Bachrus website.